Wouldn’t it be great if your IT system hardly ever went wrong? Or you could forget about having to remedy things yourself? How much more productive would your business be and how much easier would it be to run? At Jireh Solutions, we specialise in helping our customers minimise the disruption caused by inefficient equipment and systems. From developing your IT strategy and supplying and installing great value hardware, to preventative maintenance and remote support for PCs and Macs, our expert and friendly team is here to keep your business running smoothly. So why not leave the IT to us, so you get more time to spend on the things you’d rather be doing? We’ll get to know your business inside out, develop a strategy and identify tailored IT solutions to help your business to become more efficient. With 3 levels of remote support available, we can tailor our service to meet your exact needs to ensure that you can really rely on your IT infrastructure. We can help you to unleash the potential of Cloud-based IT solutions, so you can benefit from a more productive and mobile workforce. At Jireh, we know how to identify the right equipment to ensure your needs are met both now and in the future. Achieving silver Partner status is a direct result of the hundreds of businesses, and thousands of users, we’ve migrated to Office 365 over recent years. 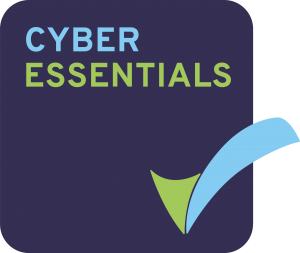 Being Cyber Essentials certified reflects, not only our approach to running a secure business, but also the importance we place on our customer’s security. 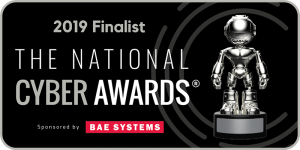 After ensuring our customers enjoy the very best level of support for their Cyber security, we are delighted to have been nominated by them as a National Cyber Awards 2019 Finalist. With our in-depth knowledge, you can rely on us. Jireh’s support has allowed us to focus on our business, without the worry or stress that often comes when IT goes wrong. We’ve realised that it’s a false economy to try and set up and sort out any IT problems ourselves. The relatively small amount we pay a month is worth its weight in gold. The minute I picked up the phone Andy and his team were coming up with ideas and solutions to the obstacles we faced. We couldn’t have done it without them. The team at Jireh are friendly, knowledgeable and won’t blind you with techie talk. Rather than the time-based solutions on offer from others, their competitive fixed monthly fee is a key feature of their support package. Rob got back in touch with us instantly and outlined the benefits of a new printer to improve our efficiency. We placed the order on the Friday and it was up and running the following Tuesday. I have never been disappointed in the calibre, attitude and approach that Jireh have demonstrated towards us and have no hesitation in recommending Jireh Solutions. Jireh’s fixed monthly fee package gives me the reassurance that any IT issues will be dealt with swiftly and allows me to focus on my business. I wanted a local business that not only sold computers but provided excellent support when things don’t quite go according to plan. Jireh Solutions are just such an organisation. Once I had my PC back I noticed the increased speed that had been unlocked from my machine. Even though it is around 6 years old it now runs faster than when it was new! When some gremlins appeared the teams tackled them effectively and no production time was lost. We would have no hesitation in recommending Jireh Solutions to any of our clients or contacts. I had a chat with Jireh Solutions at 9am one morning about upgrading to a 2nd monitor. By 10am I had received their proposals and rationale. And by 11am the new equipment had been ordered. Jireh Solutions take care of our entire IT systems and infrastructure. They are always helpful, knowledgeable and provide us with a great level of service. From the moment our order was placed, the support from Jireh Solutions has exceeded expectations. The team has been outstanding in achieving our objectives. We recently commissioned Jireh to set-up Microsoft’s online Outlook 365 service, for both ourselves and an important client. We were delighted with their service, as was our client. If you’d like to talk about finding a better solution for your IT, submit the form below and we’ll be in touch as soon as we can.